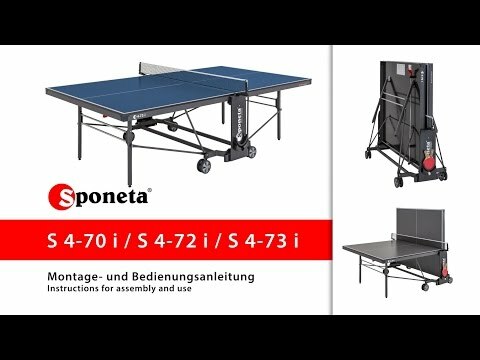 The Sponeta Expert Line Indoor Table Tennis Table gives a decent bounce and a fair level of strength. It has playback for solo practice, four fully rotational wheels (doesn’t need such a large turning area) and leg levellers. The folding system is tidier than the cheaper Sponeta models but it doesn’t have the safety system you’ll find on Cornilleau tables in this price range.